3.5 oz. 4 oz. 4.5 oz. 5 oz. 5.5 oz. 6 oz. Fully cooked // Gluten Free. 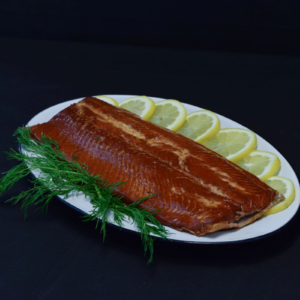 Our smoked salmon has the highest oil content of all our fish products! Salmon is higher in omega-3 fatty acids and has a more delicate flavor than trout and char. It is well-suited to sensitive palates and has a very universal appeal. 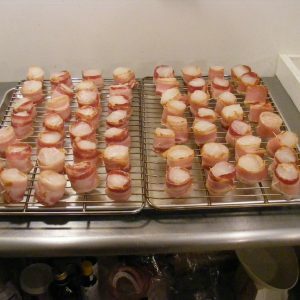 Note that all of our fish is lightly smoked and tends to have a more nuanced and balanced flavor as compared to some other smoked fish on the market. We pride ourselves on achieving the perfect level of smokiness while ensuring that the fish’s natural flavor is able to shine through. 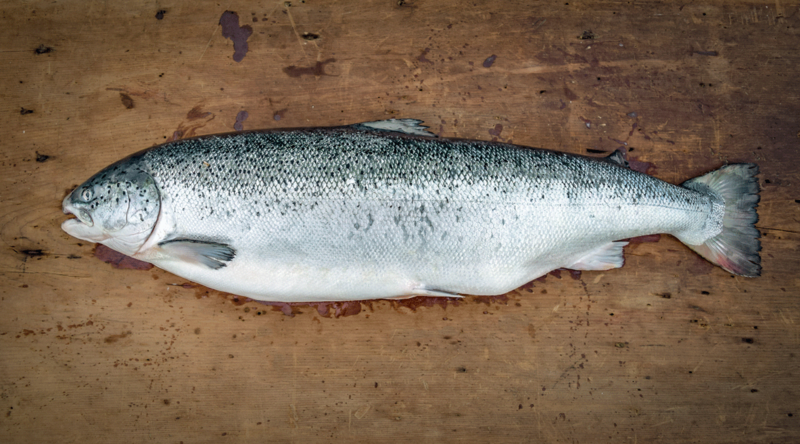 Click here to learn more about where our salmon comes from.